It’s March 2014 and that can only mean one thing, it’s time for the Leukaemia Foundations World’s Greatest Shave. This year, the Almost Anything Girls, Yolinda Foss and Bernadette Bunge, will be braving the clippers to raise money for this great cause. 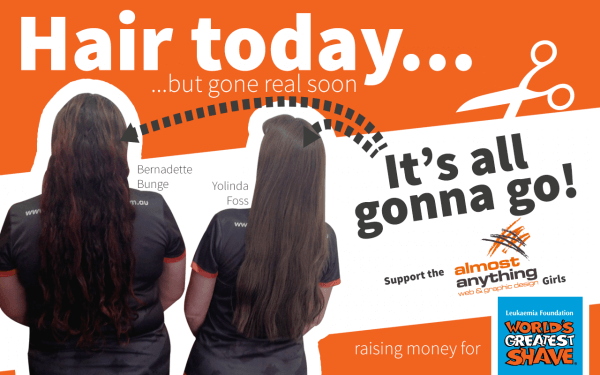 With a combined hair length of 1.5 metres this is a big commitment the girls are making. That’s where you come in. We need you to pony up the dough! Making a party of it! Full bar, live music, lunch menu. Let’s make a Sunday Session out of it! 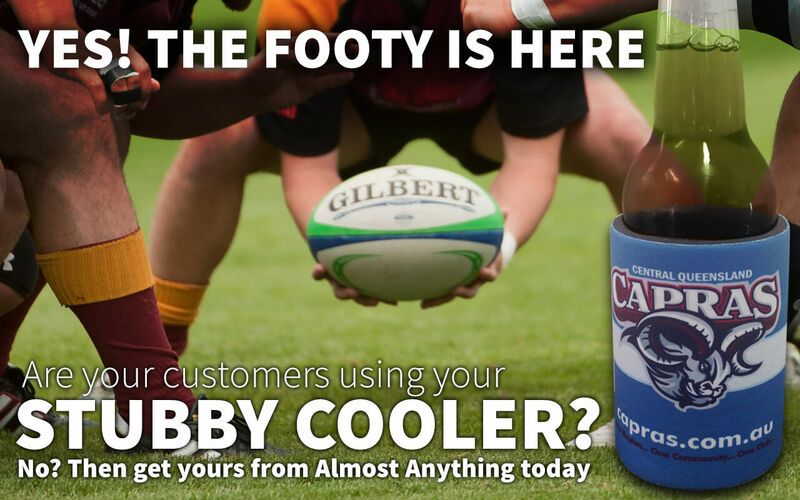 The Footy’s here, but whose stubby cooler are your customers using?